On Sunday at MHBC, we looked at the story of King Solomon, who, when offered anything God could give, chose to ask for wisdom. He could have asked for more money, more power, the protection of His family. Instead, as a new King facing a daunting task before Him, He chose to ask God to make him wise. I remember being very young when I heard this story and thinking “I would asked for money…” Something in me saw wisdom as a lame request. I didn’t see the value in it then. I sure do now!!! We need wisdom every day to make good choices.Solomon knew that. The Bible then tells us that God was so pleased with Solomon’s request that God told him that He would also give Him wealth, prosperity, a strong Kingdom, and a long life. And indeed, Solomon is remembered as a good King. Under His leadership, the Temple to worship God was finally built. The nation prospered. He was revered for His wisdom. I would love to say that is the end of Solomon’s story: Asked for wisdom. Good King. All Good. The Lord became angry with Solomon…So the Lord said to Solomon, “Since this is your attitude and you have not kept my covenant and my decrees… I will most certainly tear the kingdom away from you and give it to one of your subordinates. (From 1 Kings 11). One way to gain wisdom is to surround yourself with wise people. It seems that at the end of His life, Solomon did the opposite. He allowed Himself to be influenced by people that did not follow the true God, people without the gift of godly wisdom. I hope we can see both inspiration and a call for caution in Solomon’s story. Let us be inspired to pray for wisdom and to ask God to show us His ways in all things, as Solomon did. And let us be cautious. 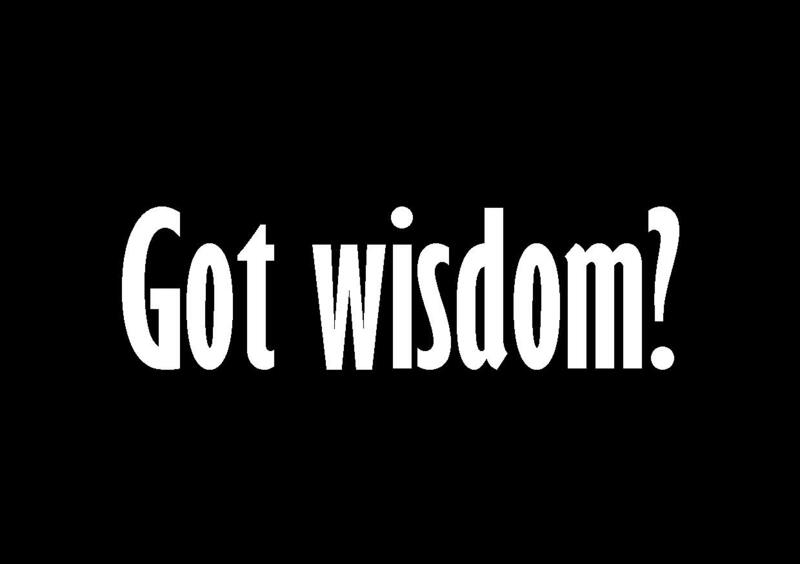 Even the wisest among us can make bad choices when we take advice from those that do not have God’s wisdom. If advice you are receiving from someone (even if they are a Christian) will in any way hinder your relationship with God, turn your family to more focus on other things or lead you into a path that God’s word tells us to avoid, it is not advice you should take. Instead, seek wisdom from those who are also eager to seek God’s purposes. Let God’s wisdom guide your paths. Yes with wisdom comes responsibility. i will listen to the sermon on line. People have been talking about it. Solomon’s story goes to show we can never be too wise and think we can do it alone. There are times in my life when things get better I tend to put God aside just to realise that it is in fact God who is the “corner stone”. Thanks Leanne for this reminder. I really enjoy these blogs on Sundays sermon. It is a great review. This story is a good reminder of the importance of our continued devotion to God. I asked God for wisdom with an issue I was struggling with. It was amazing that clarity and logic soon took hold of the issue. Those voices in my head that wanted rash action and an emotional response were trumped by wisdom. I was able to adopt the wise choice. In hindsight, those other solutions that I wanted to take would have led me to a regrettable place. Thanks be to God.